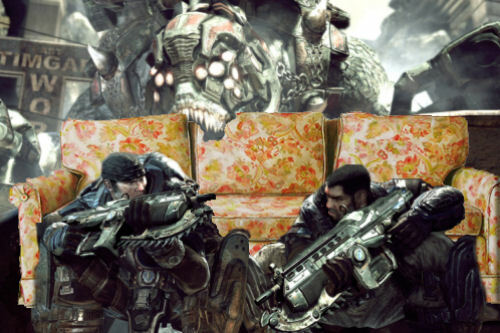 Couch Co-op is often called "Local co-op," and allows two (2) or more players to play on the same television, game console or computer, and couch...or multiple chairs, or couch and floor...or standing if that makes you happy. The screen can either be split to accommodate the players, or as one screen with the players on the same point of view. Splitscreen is a specific form of local co-op that will partition the screen in one of a few ways giving each player their own viewpoint. 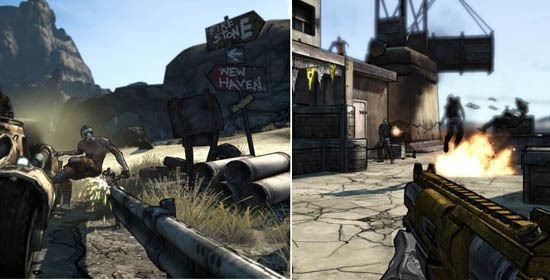 The screen is often split vertically or horizontally depending on the aspect ratio of the game or the developers preference. Some games get a bit more creative and will have partial-screen splits. One example of the creative splitscreen has one players screen floating in the top left corner, and the other sitting in the bottom right of the television screen. Online with Splitscreen is an often-requested feature here on Co-Optimus. 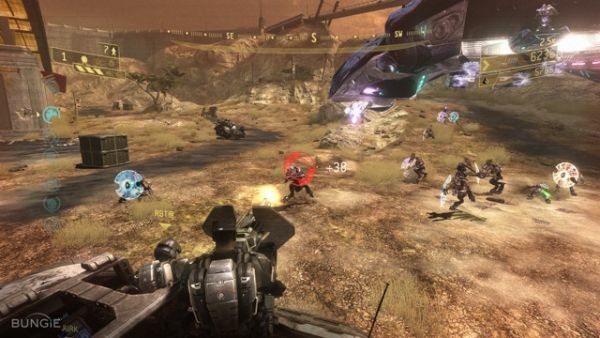 This style of co-op allows for two (2) or more local players to play with one (1) or more online players. The set up doesn't necessarily mean the screen is split, but rather local players can play with online players at the same time. This set-up is ideal for co-op playing spouses, significant others, local friends, or siblings to play with their long distance friends at the same time.